Need a few quick resources? Start with this helpful immigration / DACA site from ProCon. 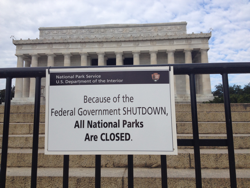 Share an article on the shutdown with differentiated reading levels from Newsela. This National Geographic article has discussion and writing prompts, impacts of the shutdown, and a handy toolkit at the bottom. The C-Span site has a short video clip and vocabulary. Teaching Kids News has a great overview, writing prompts, resources, and grammar lesson. The fact checkers at PolitiFact put together a quick unbiased article on the impact of the shutdown. This Politico article highlights some of the problems that intentional and unintentional bias can cause in news coverage. I’d love to add to the list. What tools are you using?